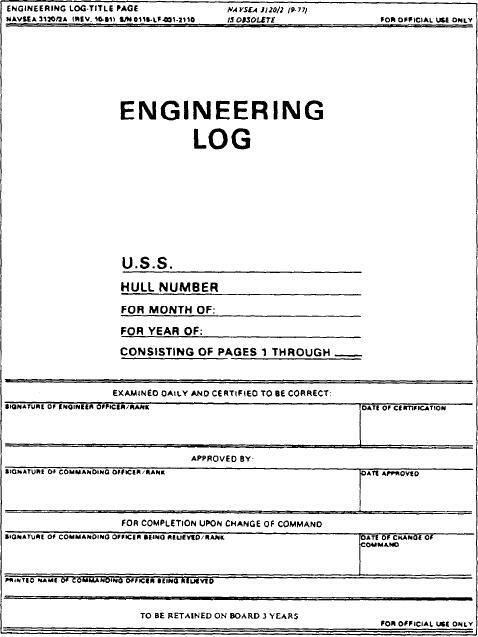 Engineering Log-Title Page, NAVSEA 3120/2A. Engineer's Bell Book, NAVSHIPS 3120/1. entry as a complete statement. directives from the type commanders. Figure 2-4.--Engineering Log-Title Page, NAVSEA 3120/2A.